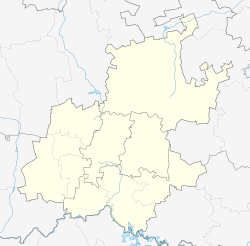 Benoni is a town in Ekurhuleni municipality, Gauteng, South Africa. 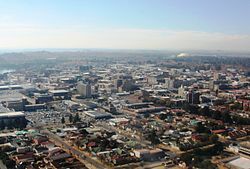 Benoni was also the setting for the MTV-inspired movie Crazy Monkey: Straight Outta Benoni, released internationally in 2005. Oliver Reginald Tambo, ANC, ANCYL and SACP hero during the Apartheid regime. Vic Toweel, former undisputed World bantamweight champion and South African boxing champion. ^ a b c d "Main Place Benoni". Census 2011. ^ "Crazy Monkey Presents Straight Outta Benoni". IMDb.com. 1 August 2005. Retrieved 21 December 2010. ^ "Jewish Report : Lieberman being sidelined as Israeli foreign minister" (PDF). Sajr.co.za. 10 July 2009. Retrieved 2017-01-25. ^ Smith, David (15 July 2015). "Don't mess with Grace Mugabe – she could be the next president of Zimbabwe". The Guardian. Retrieved 4 July 2016. 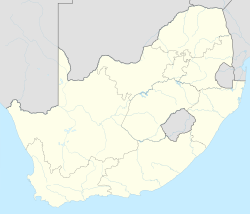 Wikimedia Commons has media related to Benoni.